Happy National Relaxation Day! August 15 is a holiday tailor-made for all of us here at Zeel, so in celebration, we’ve put together a list of our five favorite ways to unplug, de-stress and chill out. Whether you live in a big city or a small town, there’s no denying we could all use a little “me time.” These National Relaxation Day activities won’t break the bank (more stress!) or take up too much time in your otherwise busy schedule. Self-care shouldn’t be a one time a year kinda thing, so at Zeel we try to squeeze a little wellness into each and every day. If you’re new to a wellness routine, these activities are easy to incorporate into your routine and are sure to help you relax. If you’re a busy New Yorker with a few minutes to spare or want to spend your lunch break re-focusing your mind, the Be Time meditation bus is your new go-to. This mobile meditation station sets up shop on busy big apple streets and offers folks a moment to step in and tune out. This zen-mobile is always on the move, so make sure to check it out before you start planning. It’s such a gift to learn from others like @freqnasty. Music + Meditation + Connection = kinder people. This one might be a little too obvious but there’s really no better way to embrace National Relaxation Day than with a Zeel Massage. A licensed massage therapist will arrive at your home, office, or hotel room in as little as an hour. Book a massage through the Zeel App and we can set up shop in your living room or home garden, arrive at your hotel room after a long, tiring flight or accommodate you and your partner with a Zeel Couples Massage. Sometimes all you need is a reminder to focus on you. National Relaxation Day to the rescue. So you’re finally going read the book that you bought on Amazon three months ago and has since remained buried under a pile of gym clothes, work documents and ya know, all those other books you’ve been meaning to read. 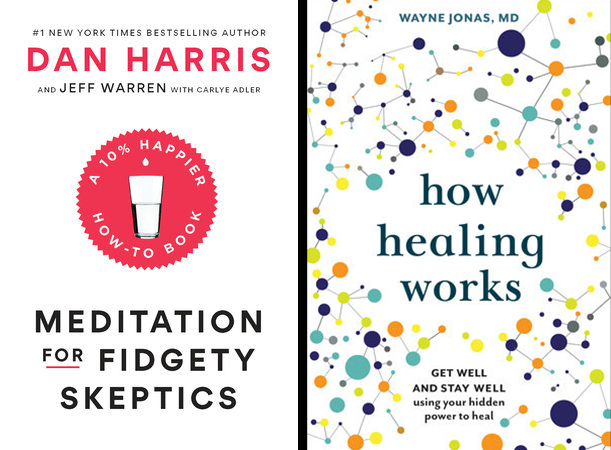 There are a ton of wellness books out there but two that have landed on our radar lately are “Meditation for Fidgety Skeptics” by Dan Harris and “How Healing Works” by Dr. Wayne Jonas. While Harris teaches us how to become “10% happier” using meditation, Dr. Jonas focuses on the mind-body connection and how you can take control of your recovery process. If you’ve never spent time at a Japanese Tea Garden, you’re truly missing out! Stepping into one of these magical spaces transports your body and mind into a zen-like state. If there’s not a Japanese Tea Garden anywhere near your home, try Instagram or Pinterest before planning a field trip. If colorful flowers are more your speed, head to the closest park or field, pop a squat and take in the warm summer sun. Heading outdoors is always a great way to breathe in some fresh air and breathe out the stresses of daily life. Even though you might have a relaxing playlist or two on deck, National Relaxation Day is the perfect excuse to create a new, chill, playlist. Perfect for reading, meditation, or endlessly scrolling through your Insta feed, these Spotify “Sleep” playlists are our go-to when we need some calming vibes to wash over us. Now go forth, wellness warriors, this is your day. Relax, take a deep breath, do you, and remember that Zeel is always here to help you #zeelgood. The post 5 Ways to Celebrate National Relaxation Day 2018 appeared first on Pause: The Zeel Blog.